Whether you have the newest Camry or a dependable used Tacoma, it’s important for your Toyota to undergo regular maintenance to keep it performing its best as you drive around Doral, Miami, and Hialeah. You may find yourself wondering how often you should be getting an oil change or when it’s time to get your tires rotated. To help you stay on top of routine maintenance, our team at Doral Toyota provides you with convenient Toyota maintenance schedules. Our hope is that through these maintenance schedules, you’ll become more familiar with your Toyota model, its components, and its needs. In time, you’ll have routine service down to a science! In addition to outlining the varying services your vehicle will need over time, our Toyota maintenance schedules will provide recommendations on when you should think about scheduling service appointments. 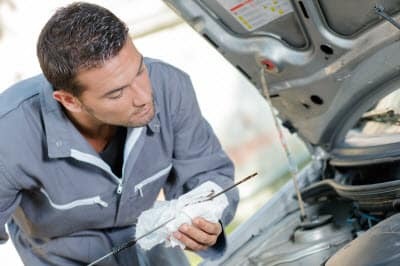 As an example, some services should be done every 7,500 miles or so, such as oil changes and tire rotations. Other services, such as brake inspections and fluid checks, should be done every 15,000 miles. Once your vehicle hits 60,000 miles, you’ll notice that more components—such as spark plugs—will need to be replaced. Have no fear—this is completely normal and is all done to keep your vehicle running efficiently. To use our maintenance schedules, simply find the corresponding guide for your model and take note of all suggested service milestones. Keep these in mind as you drive your vehicle—but remember that these guides are only meant to help you by providing a recommended servicing timeline. They cannot guarantee that your vehicle will not need maintenance sooner! It all comes down to knowing your vehicle and paying close attention to its sounds, indicators, and handling. If it’s time for some routine maintenance, contact our team at Doral Toyota! Our experienced technicians regularly perform oil changes, tire rotations, wheel alignments, inspections, and so much more. They’ll even take care of any repairs you need! Simply schedule service online and let us do the rest. We’re proud to serve drivers all across Doral, Miami, and Hialeah!